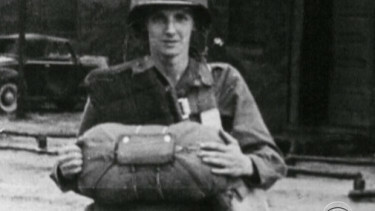 Jim Martin, one of the first Americans in combat in Europe in WWII, who was a private in the 101st Airborne when he was one of the paratroopers dropped behind German lines in the hours before the D-Day landings. Mr. Martin said it was a time when right was right and wrong was wrong, and everyone knew the difference. This week, he’s going back to Normandy, where he will parachute onto the same ground he touched seven decades ago.